Film maker and actor, Kunle Afolayan, has disclosed that no Nollywood actress would dare to dangle her body at him in return for a chance to appear in his movies. 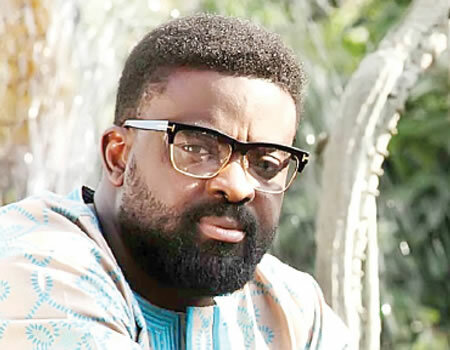 Unlike many other Nollywood directors who have at one time or another fallen for the antics of reckless actresses who are eager to sleep with anybody in exchange for movie roles, Afolayan, says that he is a hard nut to crack. In an interview with The Punch he said, “Personally I have never encountered a situation whereby an actress would offer me s*x for a movie role. They would not even dare come to me. They say that I am proud. “The social media may have some advantages, but it also has a lot of disadvantages. It is in the past that people would say that a director asked an actress for s*x in exchange for a movie role. These days, some actresses would reach out to the movie director or producer and tell him that they would do anything just to be in the film. The film maker who disclosed further that aside from acting, he was passionate about music, stressed that he could have become a singer, and urged his fans to keep their fingers crossed as he could decide to launch a music career anytime. “I would have been a musician if I was not acting, I still sing for myself. If God wants me to go into music, then it will happen,” he said.